Once author’s paper is accepted for publish in IJNRD Journal, the registration for publication phase begins. Author have to pay the publication charges according to author’s category only. It is mandatory that at least one author of an accepted paper may register in order for the paper to appear in the Journal publication Issue. If an author has got more than one accepted papers, then authors have to pay the payment as paper wise individual. Authors have to pay the publication fees in the IJNRD Account only OR through our PayUMoney Payment Link. Publication Charges include entire Research Paper Online, Individual Certificate for all authors (Softcopy),Confirmation Letter (Softcopy), Indexing, typesetting, maintenance of Website and journal infrastructures. Process for assigning unique paper identification number, Typesetting. Provide automation citation generator for published paper. As per our norms only maximum 4 authors will be allowed for single paper publication. Our charges include only 4 authors per single paper publication. if author want to add more than 4 authors then author have to pay 500 Rs additional charges per additional author. Author have to inform to IJNRD Team regarding number of authors before the paper published. Once the paper published successfully then IJNRD NOT accept any request related to changes of Research paper content, Authors Details. Corresponding (1st Author)Author was authorized by all authors to transfer all royalties related with the manuscript and to enter into a binding contract with IJNRD as detailed in this Copyright Release Form, and He/She will be responsible in the event of all disputes that have occurred and that may occur. The manuscript has not been published and is not being submitted or considered for publication elsewhere. The text, illustrations, and any other materials included in the manuscript do not infringe upon any existing copyright or other rights of anyone. Authors transfer all financial rights, especially processing, reproduction, representation, printing, distribution, and online transmittal, to IJNRD with no limitation whatsoever. If IJNRD found any copyright content or any issue related to copyright in future, then IJNRD have rights to withdraw the paper without prior notice to authors. REFUND POLICY: By default, ALL THE PAYMENTS ARE NON-REFUNDABLE. "No-shows" or “Extra-Page Payment” or “Excess Payment” or “Additional Payment” are not refundable and liable; and will be considered as the donations. But under the genuine consideration of refund request not later than 2 days prior to the Registration Closing date shall be processed with the applicable cancellation fee. 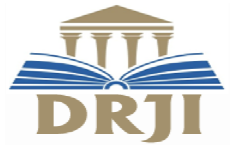 All refund e-mail requests must be submitted to editor@ijnrd.org. Request for refunds postmarked after the Registration Closing date will not be accepted. Changes to this Refund Policy - IJNRD has the discretion to update this refund policy at any time. When we do, we will revise the updated date at the bottom of this page. We encourage you to frequently check this page for any changes. You acknowledge and agree that it is your responsibility to review this refund policy periodically and become aware of modifications.